Hu Yinan and Li Xiaokun, “Carrier Set for Maiden Voyage,” China Daily, 28 July 2011. China is making use of an obsolete aircraft carrier that was bought from Ukraine and is being refitted for scientific research and training purposes, a top military spokesman said on Wednesday. The undated photo released by Xinhua News Agency on Wednesday shows the refurbished aircraft carrier which the Defense Ministry said will be used for research and training. “The warship has no problem with sailing since it has been docked in the sea, and the time for its maiden experimental voyage depends on the schedule of the refit,” Defense Ministry spokesman Geng Yansheng said, referring to the Varyag in the northeastern port of Dalian. The pursuit of an aircraft carrier program would not change the navy’s strategy of inshore defense, he said at a news briefing in Beijing. “Training for carrier-borne aircraft pilots is also in progress,” Geng said. He did not specify who would be named the Varyag’s commander. The official China Defense Newspaper earlier quoted media reports as saying Li Xiaoyan, 50, and Bai Yaoping, 49, were widely seen as top candidates for the post. Li and Bai are both 1990 graduates of the Chinese military’s first course – a three-year program, and the only one so far – to train aircraft carrier captains. Geng’s announcement came days after an article in the Study Times, the official newspaper of the Central Party School of the Communist Party of China, said the Varyag may soon start sea trials. The article on Monday referred to the carrier as “China’s first aircraft carrier training vessel, Shilang.” Shi Lang was a 17th century admiral who reclaimed Taiwan for the Qing Dynasty (1644-1911). Xinhua News Agency, though, said on Wednesday that the warship is still unnamed. It is set to receive final adjustments at a shipyard in Dalian “before embarking on its maiden voyage,” Xinhua said. The ex-Soviet Varyag, which remained incomplete when the Soviet Union collapsed in 1991, was bought for $20 million in 1998. Ukraine disarmed it and removed its engines before selling the craft to China. The vessel, delivered in 2002, has been undergoing refitting work at Dalian since 2005. China is the last permanent member of the United Nations Security Council to get an aircraft carrier. Among the other four, the US boasts 11 and the UK, France and Russia each has one in operation. In Asia, India and Thailand each bought and commissioned an aircraft carrier – in the late 1980s and 1990s, respectively. 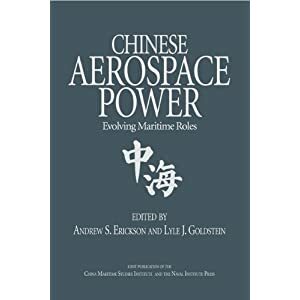 “China will inevitably start far behind India’s level of expertise in actual carrier aviation and operation,” Andrew S. Erickson and Andrew R. Wilson, professors of strategy at the US Naval War College, wrote in 2006 in the Naval War College Review. As the world’s largest exporter, second-largest economy and a massive importer of energy, China has to protect its 14,000 km of island coastline and a maritime area of 4.73 million sq km, military officials say. Nine-tenths of all global trade and two-thirds of all petroleum are transported by sea, figures from the US navy show. 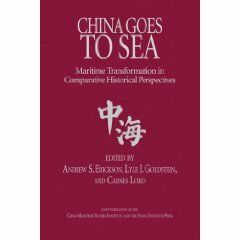 China has the largest maritime landmass among all Asia-Pacific countries. Its mainland coastline is 18,000 km long, compared with Thailand’s 3,219 km, India’s 6,083 km and the United States’ 19,924 km. Coastal land makes up just 14 percent of the country’s land mass, but it supports 44.7 percent of the population and generates 60 percent of GDP, according to Xue Guifang, a professor at Law of the Sea Institute of the Ocean University of China in Shandong province. Having an aircraft carrier is a necessity for the country, sources close to the military say. A carrier would facilitate protecting China’s own maritime trade and contributing to United Nations peacekeeping missions as a responsible power, said Han Bin, a student in Tsinghua University’s department of precision instruments and mechanology and a self-proclaimed military fan. Citing the deployment of the world’s smallest aircraft carrier, Thailand’s Chakri Naruebet, on several disaster relief operations, Zhang Xusan, former deputy commander of the Navy of the People’s Liberation Army (PLA), said that carriers’ “non-war applications” are playing an increasingly important role. The first Chinese proposal for an aircraft carrier dates to 1928. That idea was submitted to the then Kuomintang government by UK-trained Chen Shaokuan, then China’s naval commander, but was rejected in 1929. Chen made two more detailed requests between then and 1945. But his hopes faded as war, chaos and starvation dominated China’s interest. After the founding of the People’s Republic of China in 1949, Premier Zhou Enlai and naval commander Xiao Jinguang supported the development of aircraft carriers. An initial feasibility study was conducted in 1970, but it took decades before China started to refit the Varyag and consider building a carrier. Prior to acquiring Varyag, China had bought three decommissioned aircraft carriers to study. Two of them, the former Russian carriers Minsk and Kiev, have been turned into theme parks. The other, former Australian carrier Melbourne, was bought as scrap and taken apart in the mid-1980s. Mike Mullen, chairman of the US Joint Chiefs of Staff, said earlier this month that “there can be a gap” in attempts to match the capability of an aircraft carrier against the “great symbolism” that is inherent in having one. Chen Bingde, chief of the PLA General Staff Department, said much of China’s military technology is similar to what the US was using two to three decades ago. The Gerald R. Ford and John F. Kennedy carriers of the US, which are being built, feature a new nuclear power plant, electromagnetic catapults and improved weapons movement. The Varyag is a steam-powered, ski jump-style, medium-sized vessel of the Kuznetsov class, developed in the Soviet era. Recent reports have said the US navy is weighing a delay of the $10.3 billion Kennedy carrier amid mounting budget pressure. “Being extremely capital intensive, building an aircraft carrier task force requires both long-term heavy investments and also access to advanced technologies,” wrote Swaran Singh, a research fellow for the India-based Institute for Defense Studies and Analyses. Geng, the Defense Ministry spokesman, said on Wednesday that the Varyag project embodies the capability of China’s defense technology and will promote the modernization of the PLA. The ship will be equipped with indigenous Chinese engines, ship-borne aircraft, radar and other hardware, said Cao Weidong, a researcher with the PLA Navy’s Academic Research Institute. The carrier might carry the J-15 fighter, the JT-9 naval trainer and the Z-8 helicopter, according to postings on websites including Xinhuanet, and People’s Daily and China Central Television’s forums. Aircraft carriers present large, vulnerable targets for an adversary, said Li Qinggong, deputy secretary of the China Council for National Security Policy Studies. That was one of the forefront issues raised by people who supported development of new types of submarines, which are much more flexible in combat. Whether it makes sense for China to develop an aircraft carrier at all was the subject of a long-running debate. The carrier project was postponed once and again, and it took years before it was approved. “To modernize our national defense and build a perfect weaponry and equipment system, we cannot but consider the development of aircraft carriers,” Liu Huaqing, vice-chairman of the country’s Central Military Commission between 1989-97, wrote in his 2004 memoir. Liu, credited as “the father of Chinese aircraft carriers,” died in January. Debates over their utility and roles “are just a tip of the iceberg in the mounting tasks facing aircraft carriers. . . . That’s why we attach huge importance to the first carrier’s role as a platform for scientific research and staff training,” Li said. One of the reasons it has taken authorities so long to refit the Varyag and confirm its status with the media, he said, is Beijing’s hope that major powers and China’s neighbors can, over time, understand the country’s need to protect its maritime interests without making anyone nervous. The reconstruction of the aircraft carrier is a long-term project and will have a long way to go before the warship can become operational, spokesman Geng said. “Both overestimation and underestimation of China’s future aircraft carrier have been wrong,” he said. 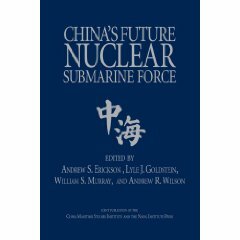 For article quoted in China Daily, see Andrew S. Erickson and Andrew R. Wilson, “China’s Aircraft Carrier Dilemma,” Naval War College Review, 59. 4 (Autumn 2006): 13-45. 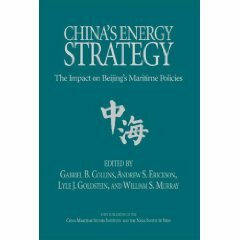 For an assessment of China’s deck aviation development, see Abraham M. Denmark, Andrew S. Erickson, and Gabriel Collins, “Should We Be Afraid of China’s New Aircraft Carrier? Not yet.,” Foreign Policy, 27 June 2011.